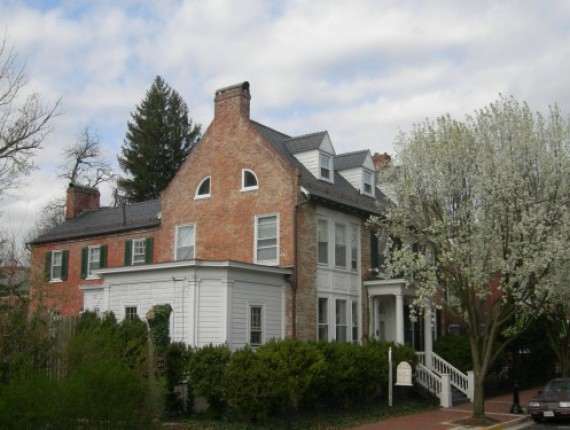 Old Waterstreet Inn is located in Old Town, just two blocks from the pedestrian street. Come and unwind in an atmosphere that is easy going yet sophisticated. 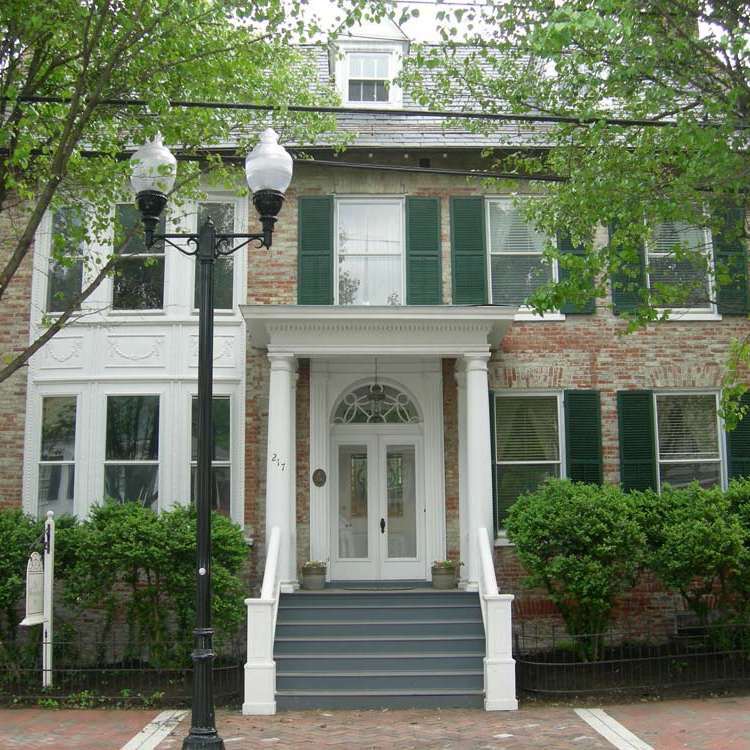 Our Inn, which is designated a Winchester Historic Building, was built in 1840. 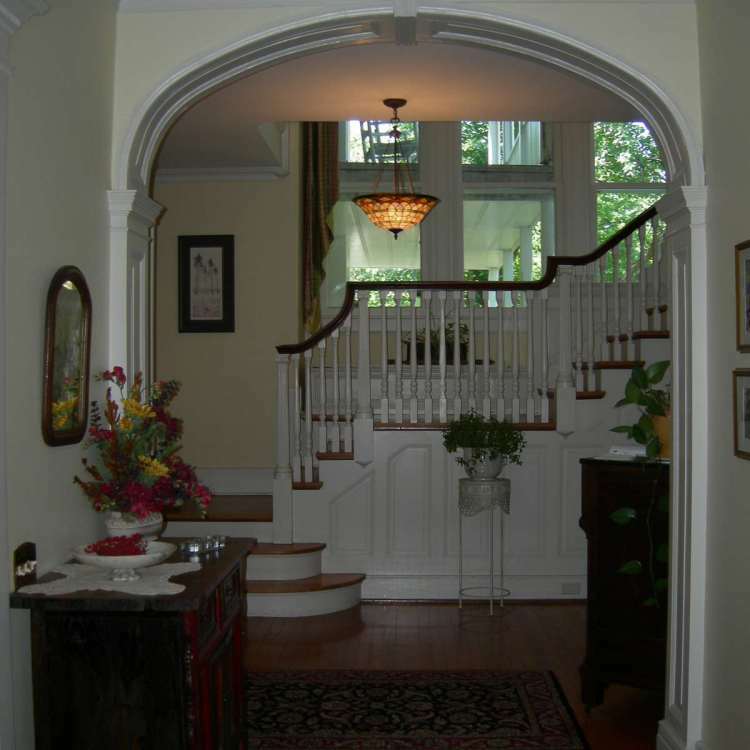 Architectural details enhance the elegance of the inn. Your hosts have decorated the inn in an eclectic mix of styles, and of old and new, which creates a charming casual ambiance. 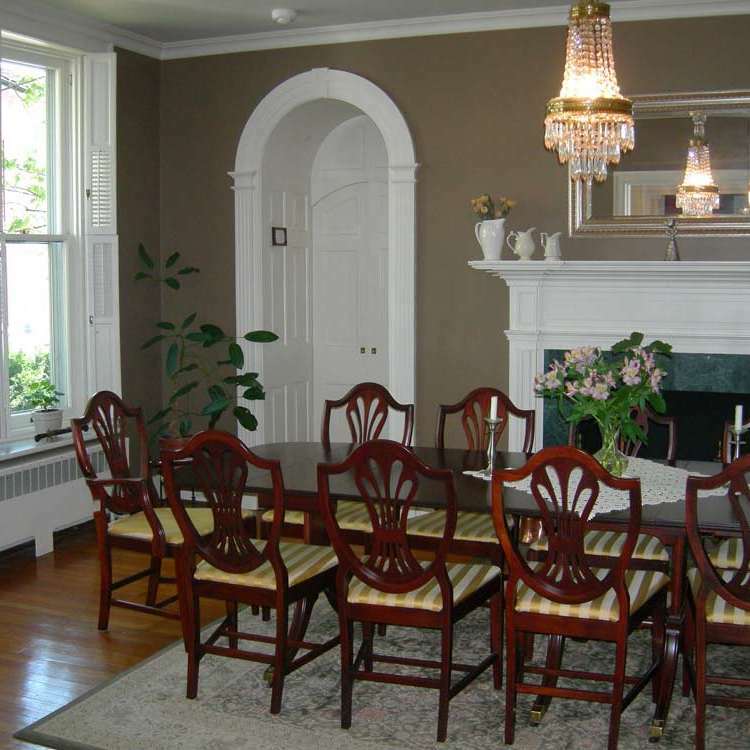 A full breakfast is served in our gracious dining room. After fresh fruit and/or yogurt and granola with a choice of mix-ins, your hot entree might be Apple Pancakes, Asparagus Smoked Gouda Quiche, Almond Amaretto French Toast, or other specialty egg or sweet dishes. Guests can always find complimentary sodas and juice, light snacks, and tea or seasonal drinks in our pantry. 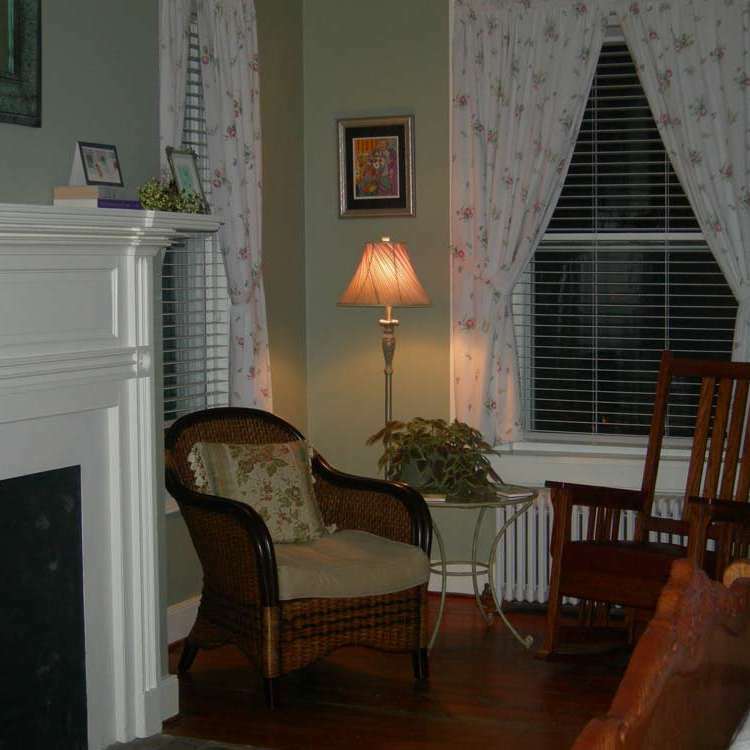 The inn is spacious, with two public rooms, the living room and a second floor sunroom. Guests can relax, socialize, listen to music, read from our interesting collection of books and magazines, or review menus for one of our excellent Old Town restaurants. 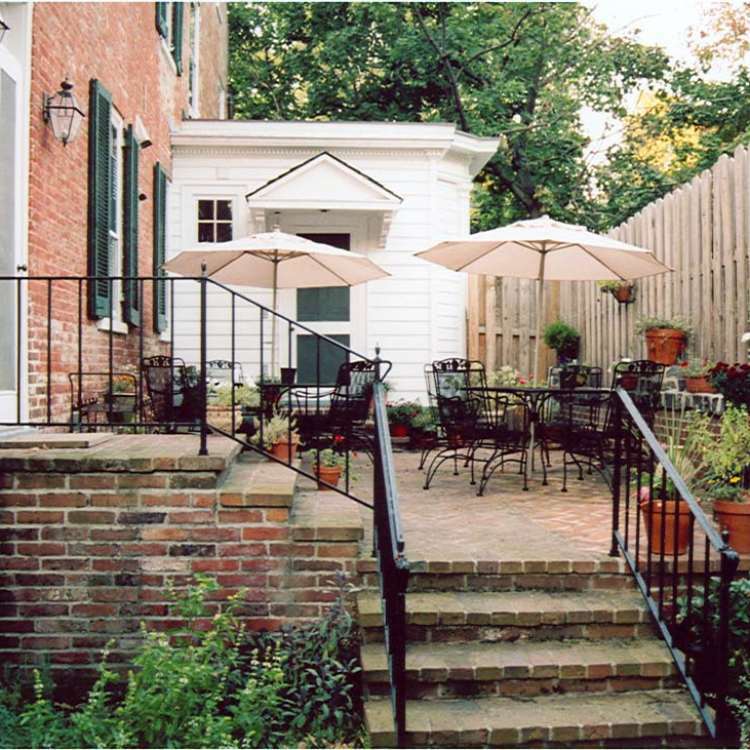 In nice weather, guests can relax on the terrace garden or on the adirondack chairs in the yard. 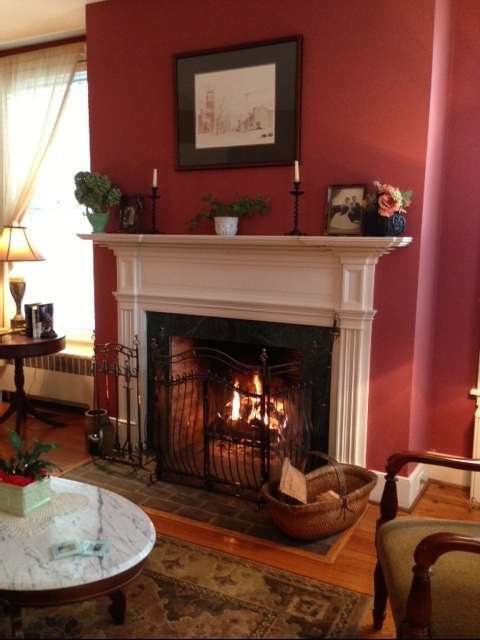 On winter weekends, guests can enjoy sitting by the fire 8n the living room before heading out to dinner. Each of our 5 rooms (4 rooms and 1 suite) has its own distinct character to suit different tastes. 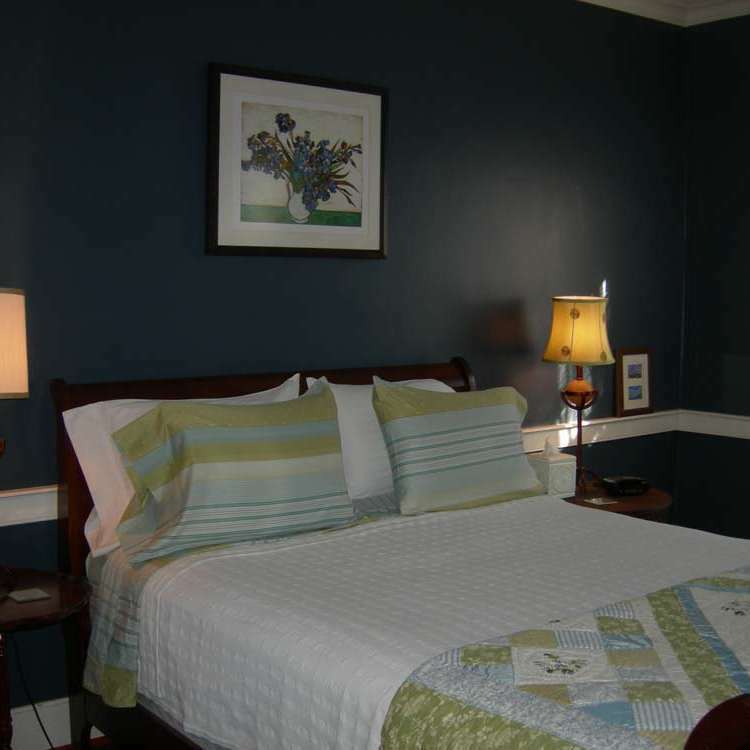 For time alone or quiet relaxation, guest rooms all have comfortable seating for two. Fresh flowers always brighten your room. stay theee nights in the same room and take 15 % off the third night or more. 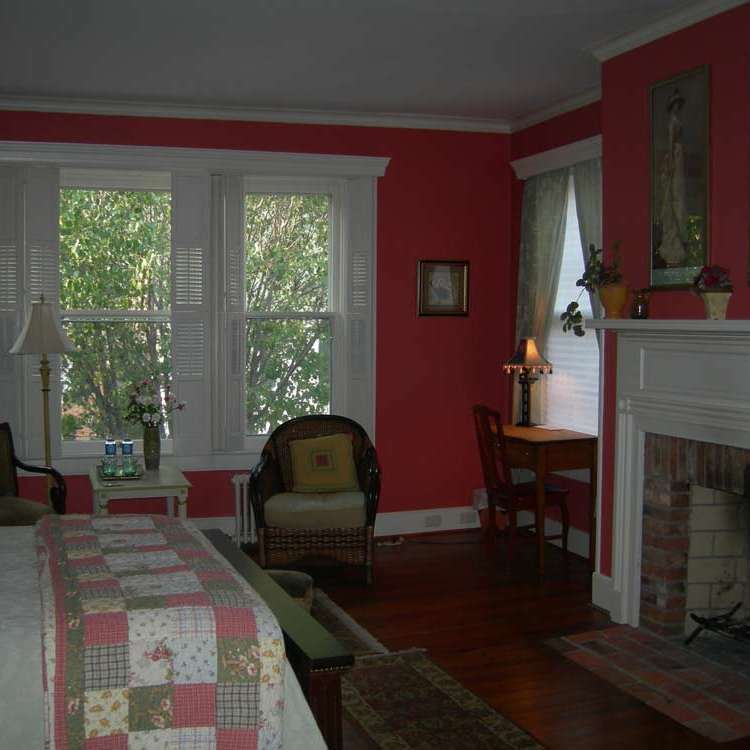 April 12 and 13 only- take $10 off per night per night on a two night stay. . Must book by 3:00 pm Thursday to get the discount, no exceptions. Please ask for this special when booking . New bookings only. We still have rooms available! While the rates do go up that weekend, they are very modest compared to other hotels. Rates range from $155-$175 with full breakfast. The grand feature parade route is just a half block from the Inn. Book now !